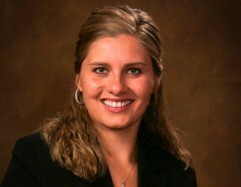 Kristal R. Dahlager has practiced law in Minnesota since 2012. She is a 2005 graduate of University of Minnesota in Duluth, MN, with a B.S. in statistics and actuarial science. She graduated from Liberty University School of Law, where she was a staff member of the Law Review, editor for Liberty Legal Journal, a member of the Alternate Dispute Resolution Board, the treasurer of the student bar association and a mentor. She wrote an article, “God’s Unmistaken Creation,” that was published in the Liberty Legal Journal in 2011. Kristal joined our law firm in April 2013 after becoming a licensed attorney in October 2012. She grew up in Sacred Heart, MN and now resides in Willmar. She focuses her practice in the areas of probate, Social Security disability and real estate matters. She is a member of the Minnesota State Bar Association. Kristal enjoys music, reading, and spending time at the lake. Call me or click the button to contact me.